You’re quality, not quantity. Your taste, is well refined. 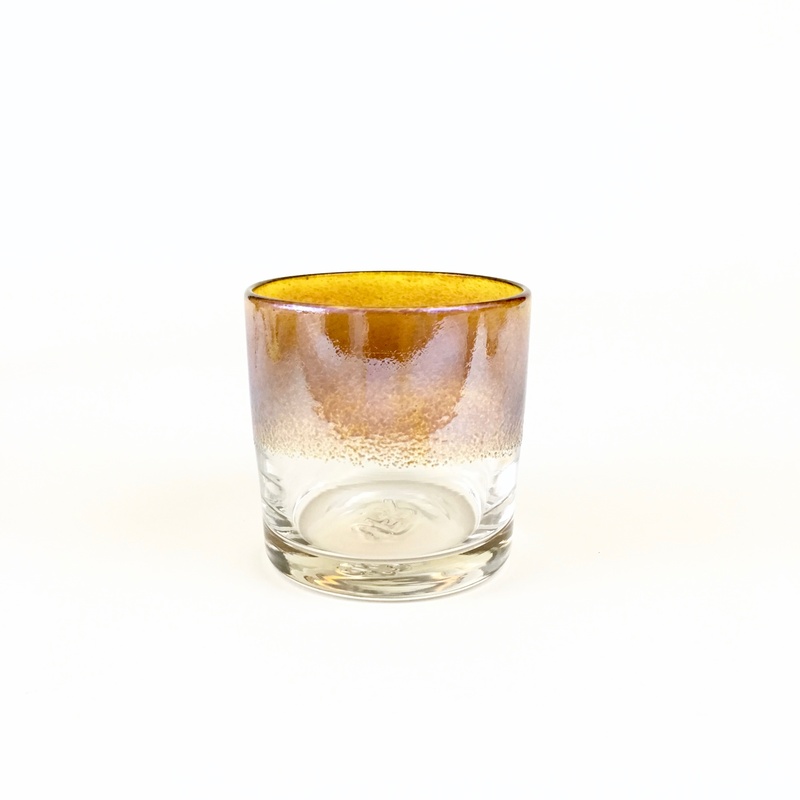 This beautiful Iris Amber glass color, formulated with actual gold, highlights the rim of this classic rocks glass. The color is added to the cup while its hot, so it will not chip or peel.